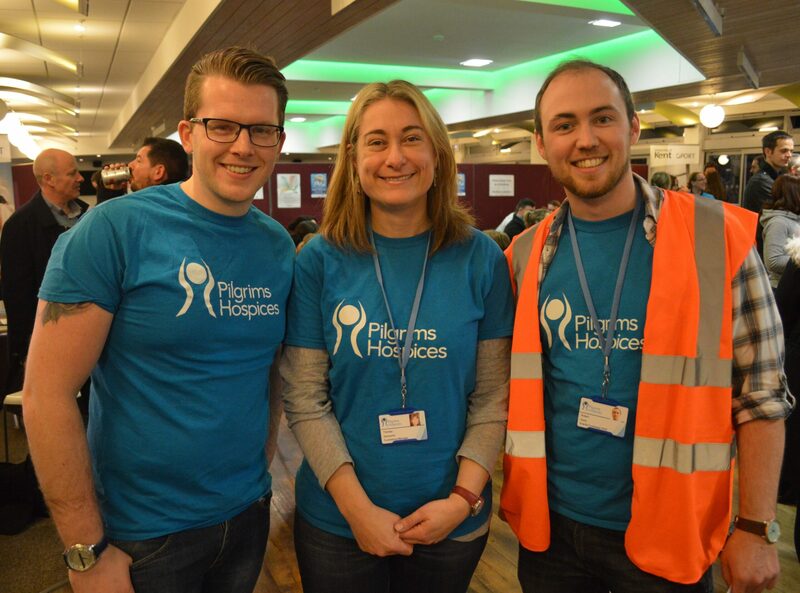 A huge thank you from all at Pilgrims to the seventy eight brave souls who took on a daring dash across 800 degree coals last night for Pilgrims Hospices Firewalk. Together they have already raised over £14,000 and by the end of this week we look set to have raised enough to pay for 1,500 hours of specialist nursing care. Billed as ‘one of the most inspirational journeys you will ever undertake’ challengers took part in an interactive training session with Cliff before setting off for their barefoot walk over red-hot wood embers measuring up to 800 degrees. Stoking the fire as the 78 Firewalkers line up for their last-minute advice from trainer Cliff Mann.